Mr Milk to The Retired Milkman. We would like to share the great story that The Scottish Farmer ran recently about Sandy Wilkie formerly of Robert Wiseman Dairies and Muller. 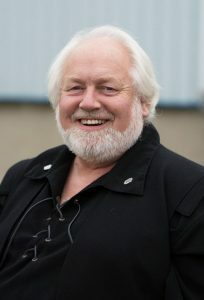 We know Sandy through our work in the dairy industry as well as him being honorary president of the SFTA. After serving the dairy industry for many decades with Wilkies, Wiseman, Muller and latterly Milk and More, Sandy Wilkie is now taking time to allow himself to get bored (so he says :-). Well respected within the industry, Sandy has received various awards for his work with a number of trade organisations across the dairy, farming, retail and food sectors, including the Dairy Council, Scottish Food Trade Association, Royal Highland Show and the Scottish Association of Young Farmers. We are looking forward to catching up with him in April when he returns from his imminent travels and Lee Ann Healy is looking forward to working with him to promote and expand the Scottish Food Trade Association. Read Sandy’s story in the Scottish Farmer.